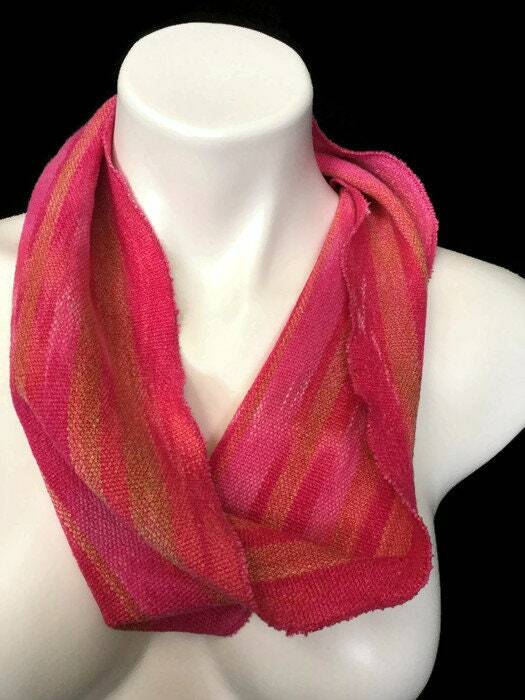 This infinity scarf is made from fabric that was handwoven by me. 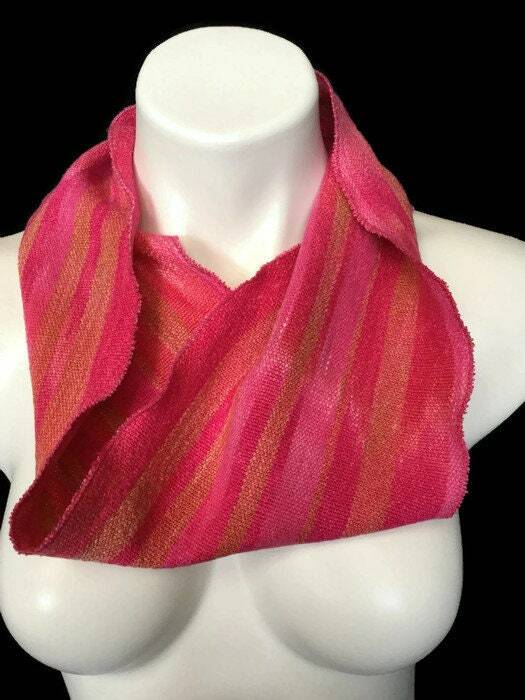 It was woven using two different hand-dyed warps in stripes. 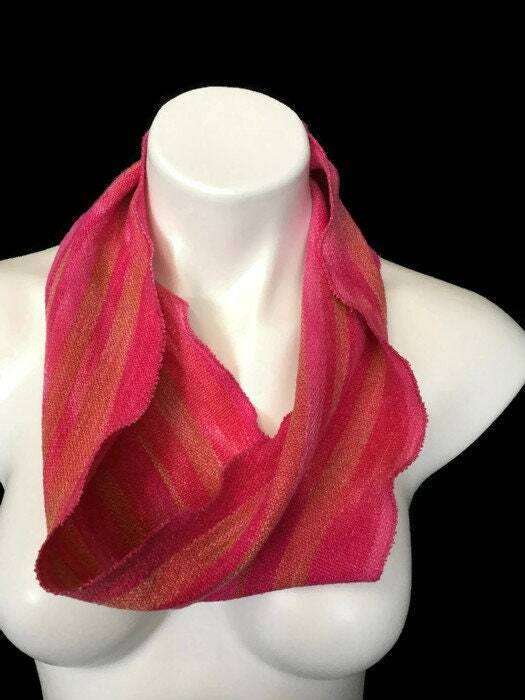 One of the warps is cotton in several shades of red and pink. The other warp is a cotton/rayon blend in shades of peach and salmon. Fabric is soft and drapes nicely and holds its shape. Measures 7" wide and 31" around. Edges have been machine stitched with a tight zigzag stitch to prevent fraying and give a slight ruffle. 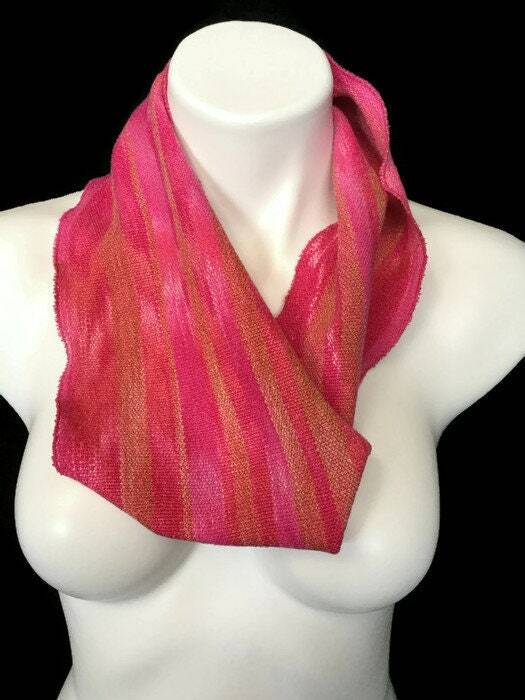 I have this color way in several different sizes. Convo me to see what is available. 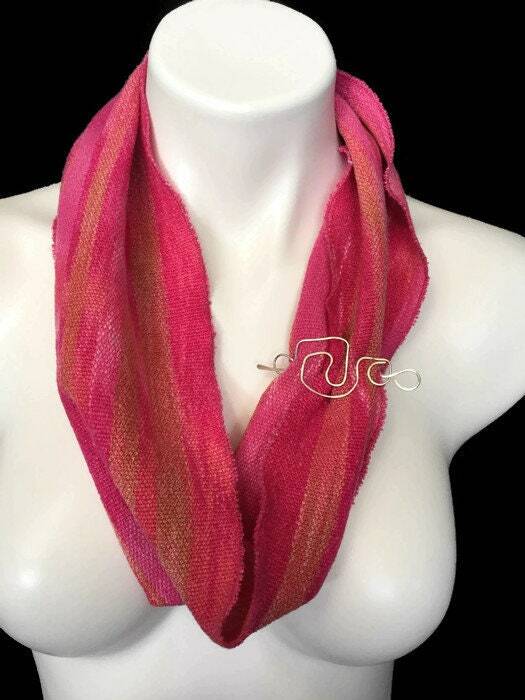 Listing is for scarf only. See my other listings for pin.